Note this subscription provides basic remote control via the cloud for non-commercial use only. To try direct connectivity and all our other security, performance and productivity features, take a free 30 day trial of an Enterprise subscription instead. 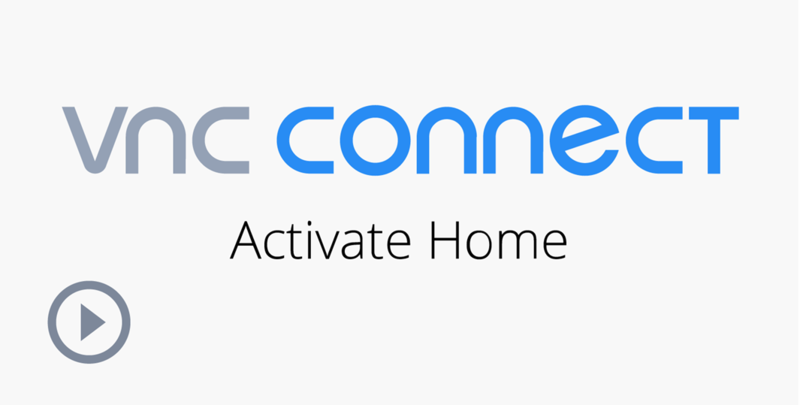 Our Home subscription makes it simple to discover and securely control up to 5 Internet-connected remote computers from any device running our VNC® Viewer app. There's no need to provide or keep track of static IP addresses or hostnames, and no need to reconfigure intermediate firewalls and routers. Getting started with a Home subscription and establishing your first cloud connection is quick and simple. Our short video shows you how. 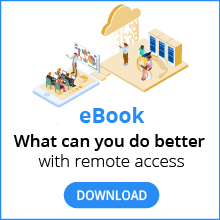 Automatically discover remote computers and connect without port forwarding or firewall reconfiguration. Invite two other people in to your team to share remote access. Sign in to your RealVNC® account on all the devices you connect from to access your address book wherever you are. Manage computers and people conveniently online. 128-bit AES session encryption, perfect forward secrecy, automatic MITM protection and the latest RFB® 5 protocol. Need remote access for commercial use? Our Professional and Enterprise annual subscriptions give you the flexibility and control you need. In particular, please note that if you want to deploy VNC® Connect remotely, in bulk, offline, at the command line or on headless/virtual servers, or you intend to connect from VNC-compatible apps from third parties, you'll need our Enterprise subscription.